A VPN is a network of computers and servers connected via the internet. The word “virtual” comes from the fact that the network isn't physically connected the way normal networks are. As stated, the computers are connected virtually over the internet. The word “private” refers to the fact that communications transmitted over the network are encrypted and thus are hidden from computers not on the network. VPN's can help with accessing websites that are blocked or unable to be processed due to one reason or another. The websites are blocked by network administrators at our workplaces, schools, and even national governments in the case of a few websites. Hotspot Shield is a popular free VPN software that allows you to unblock YouTube at school or at your office. VPN is a great technological advance of recent times as it completely secures data being sent over the network through encryption. Also, it assigns you a new IP address. This is an easy way to unblock restricted websites at schools or your workplace. So, Hotspot Shield VPN helps bypass web filters and Firewalls that restrict you from freely browsing the internet. One of the most important and unique features of VPN is that it secures the user at public WiFi hotspots like your favorite coffee shop. YouTube is a video-sharing website that allows you to upload and view videos in various formats that range in quality from standard quality to high definition. 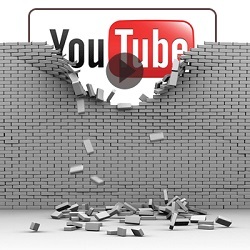 Presently, YouTube is among the most popular websites in the world. It is probably teens’ first choice for music nowadays. Teenagers today prefer to watch their music. But unfortunately, the use of social websites is restricted at many schools and corporate offices. This creates a need for technology that provides people with a way to unblock YouTube at the office and prevents their activity on the network from being tracked. Using an efficient VPN service like Hotspot Shield is an easy way to access sites like YouTube and users are no longer deprived of watching their favorite videos. Also, you can surf the Internet undetected without anyone knowing the sites that you visit. With the increasing popularity of cybercrimes these days, it has become difficult to ensure the safety of confidential information when we use the internet for shopping, banking, work etc. Now that hackers and snoopers have become a problem for people using the internet, Hotspot Shield free VPN is the solution! It masks your IP address which hides your identity from hackers and allows you to browse the web anonymously. The Hotspot Shield free VPN also increases the security of the web by offering malware protection, blocking of spam and phishing websites. Therefore, accessing YouTube, Facebook, Twitter, or gaming websites at places like school is no big deal anymore. Hotspot Shield can make all this happen for you for free. So next time you want to unblock YouTube at your workplace, just download Hotspot Shield VPN. Hotspot Shield free VPN is one of the most effective internet security solutions in the world and it is free! An encrypted tunnel secures the connection between your computer and a Hotspot Shield server at a remote destination. This secured tunnel ensures that all the data that you send or receive on your PC, Mac, tablet or mobile device is fully protected and cannot be accessed by anyone other than you. Therefore, Hotspot Shield ensures security and privacy of not only your web activity, but your sensitive data including financial transactions, SSN, passwords, downloads, emails and instant messages. It's easy to use. You just download the free VPN, run the software on your system, and you are ready to go!